Nepal’s 2015 Constitution, we have been told, is work in progress. Indeed, given its ambiguity on gender, there is a lot of work left to be done. Most of the controversy that followed its promulgation three years ago was about the demarcation of electoral constituencies and autonomy for provinces. The Left Alliance promised at election time that the Madhesi demand for amendments to the constitution would be looked into, but once it won a snug two-third majority, it has put that pledge in the back burner. There is also simmering discontent over clauses pertaining to gender and citizenship. Although the drafters tried to address the need for equality in the Constitution, it purposely left many requirements for becoming a Nepali citizen vague and subject to interpretation. Unfortunately, in Nepal, the local administration that interprets the spirit of the constitution is steeped in patriarchy. And barring a few exceptions where there are enlightened local officials, or mothers who have fought long and hard to get their offspring Nepali citizenship, many children have been forced to remain stateless. Worse, the law designed to operationalise the citizenship provisions in the Constitution are so regressive, it actually takes us back decades. On page 14-15 in this edition, we look in detail at the draft Citizenship Bill being debated in Parliament. On Tuesday, MPs across the party lines called it unjust and unlawful. The very first line of Chapter 2 of Nepal’s Constitution grandiosely states: ‘No citizen of Nepal may be deprived of the right to obtain citizenship.’ It goes on to posit that a person whose father or mother (the fact that it is ‘or’, not ‘and’ makes a world of difference) was a citizen of Nepal at his or her birth can also be citizens of Nepal by descent. But despite these clear provisions that guarantee equal citizenship rights, other clauses in the Constitution hem and haw, adding if’s and but’s and leaving many requirements for citizenship deliberately vague. The Constitution says a person whose father or mother is a Nepali citizen will get citizenship by descent, but this is not applicable if the mother is married to a foreign man. The end result is that the mothers who give birth to sons and daughters whose fathers are absent, unknown, or who have disowned her, cannot automatically get citizenship for her children. Many Nepali women have traditionally been treated within their families, communities and by the state as lesser, this Constitution and the Bill it spawned instead of redressing a historical wrong, perpetuate the injustice. 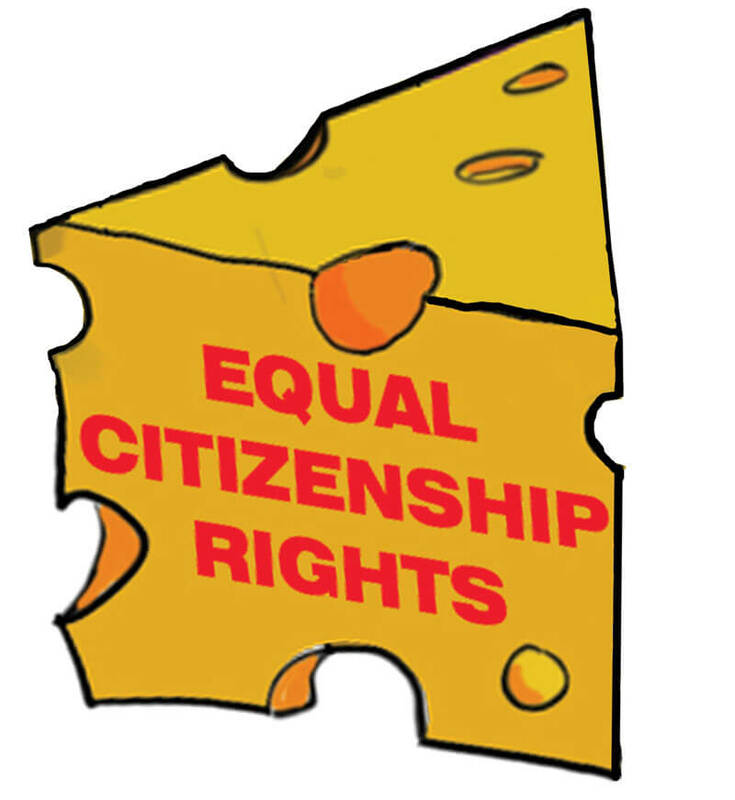 There are two aspects on discrimination in the debate over citizenship rights: the first is about Nepali women married to foreign men, and the second concerns Nepali mothers whose husbands are either unknown or estranged, and refuse to help their children get citizenship, or who have given birth out of wedlock. The first is a manifestation of the misguided ultra-nationalism that has always plagued Nepal’s main parties. It is surprising how many political leaders in the main parties, many of them with legal and human rights backgrounds (some of them women), harbour the paranoia that Nepal will engulfed by Indians who will pour across the open border to marry our women en masse. This misguided sense of insecurity should not be a logic to treat our mothers, daughters and sisters unequally. The second exposes a patriarchal state that refuses to accept women as socially, politically and economically independent human beings. A father makes his children Nepali by waving his citizenship card. But the mother cannot automatically do so, she needs to make a declaration that her husband is “unknown” — with all the stigma associated with such a public admission. To put it bluntly, the male CDO will agree to grant citizenship to the children without a father only if their mother admits to sleeping around. This has allowed numerous district officers to ridicule, humiliate and even exploit women whose husbands are estranged. The Nepal Communist Party (NCP) is composed of the Maoists who recruited women as guerrillas, promising to liberate them from their societal shackles. That same party has now deceitfully misinterpreted the constitutional provision requiring all parties to ensure one-third membership for women in their executive committees. The Election Commission was arm-twisted by the NCP to grant a grace period until its general convention. Our investigation shows that the NCP even threatened to investigate on trumped up charges EC members who demanded that the party give 33% seats to women right away. Given how good politicians and bureaucrats are in distorting the laws to suit their interest, there should be no room for any misinterpretation in the law. The state should not be giving rights with one hand, then taking them away with another. It should clearly state that the children of a Nepali woman will get citizenship even if she does not have or does not like to show her husband’s citizenship. The mother’s citizenship and the birth certificate of the children should be enough. CDOs have no right to ask who the father is.